Canada’s favorite sports league partners with UK betting giant. This story is starting to get old. It seems like every time I turn around, there’s another reason why Canada should legalize sportsbooks and single-event betting. Well, here’s another one for you. The National Hockey League (NHL) has signed a new sponsorship deal. As of last week, UK-based bookmaking giant William Hill became the official sports betting partner of the NHL. Don’t misunderstand. This move has nothing to do with convincing the Canadian federal government to legalize sportsbooks. That’s just a sideline perk that’s bound to raise political eyebrows in the Great White North. The real purpose is, of course, to make monumental bundles of cash for William Hill, the NHL, and the tax coffers of US states where betting on sports has been legalized. There’s no question that ice hockey is the number one sport in Canada. Like soccer in Europe, or football in America, the NHL gets more attention from Canucks than any other sport by far. We love the game so much, many of our teams glorify their fans with names like the Montreal Canadiens, the Toronto Maple Leafs, and the Vancouver Canucks. Just because single-event betting isn’t expressly legal in the country doesn’t mean that fans aren’t wagering on the games. We love to make the games a little more interesting, just like people in the rest of the world where single-event action is legal. We just have to go a little further to place those bets – specifically, to international online sportsbooks. The Canadian government is well aware of this. Provincial leaders, in particular, are hoping for a change to sports betting laws. The launch of legal sportsbooks in Canada would stop millions upon millions of dollars from flowing offshore each and every year, putting that money right back into the communities from which it was wagered. That’s what parlay-style sports lotteries – the only legal means of betting on sports we have now – do for each province. But those bets have terrible odds, in turn generating terrible participation levels. How Might William Hill Partnership Help? In the past, professional sports leagues had no interest in sports betting. In fact, they were dead set against the idea of people betting on their games. It was believed that a legal sports betting regime would promote duplicitous dealings like match-fixing. Now, however, it’s been determined that regulation shines a much brighter light on the activity, better serving to protect sports from underhanded dealings. It also helps leagues to generate a larger viewership base by increasing fan participation. The fact that the NHL – Canada’s number one sports league – is in support of legalization, sends a clear message to all people of Canada, from class-A citizens up to federal-grade politicians, that sports betting is not the enemy. This isn’t the NHL’s first foray into betting partnerships, either. 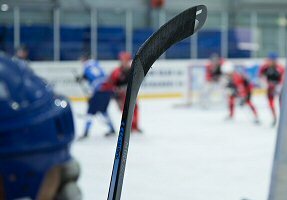 Last November, the National Hockey League signed a contract with daily fantasy sports giant FanDuel Group. DFS hasn’t been so controversial in Canada; a moot issue that’s considered legal simply because it’s not expressly illegal. That same cannot be said of single-event sports betting, where punters put action on the outcome of a single sporting event. 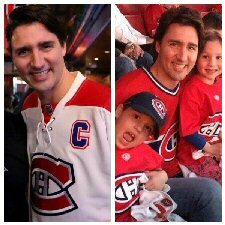 Let’s not forget that Prime Minister Justin Trudeau spent years playing hockey in college and has proven his fandom for the sport ever since. He’s expressed his loyalty to the Montreal Canadiens on numerous occasions, and certainly seems to enjoy discussing NHL trades more than hard-line politics with the media. But is he acquiesce to legalizing sportsbooks in Canada? Only time will tell that tale, and whether the NHL’s willingness to play along will have any impact on the ending.